Dr. David Tsay M.D. Ph.D. is the Associate Chief Innovation Officer at the NewYork-Presbyterian Innovation Center, where he oversees Innovation technology and implementation across the enterprise. At the NYP Innovation Center, our mission is to improve the patient experience, hospital operations, and clinical outcomes for the NYP enterprise through healthcare innovation. Prior to this role, he was the 2015 Silverman Innovation Fellow at NewYork-Presbyterian, where he managed and developed digital health applications and telehealth initiatives at the Innovation Center. He is the digital architect for multiple mobile applications spanning the NYP enterprise, including NYPConnect, a cross campus communication tool used by more than 25,000 employees across eight different hospitals, and the NYP mobile application which serves the patients of the NYP hospital system. 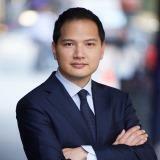 Previously Dr. Tsay was a fellow at the NYC Bio and Health Tech Entrepreneurship Lab, and a fellow at Columbia University Technology Ventures where he served as an analyst of Columbia University Medical Center's intellectual property. Dr. Tsay continues to practice as a cardiologist at NewYork-Presbyterian/Columbia University Medical Center, where he has been for the past decade. He is board certified in Internal Medicine, Cardiology, and is a specialist in Cardiac Electrophysiology where he performs complex ablations and device implants for the management of cardiac arrhythmias. Dr. Tsay received his BA in Physics and Computer Science from Columbia University College, and completed his M.D. and Ph.D. doctorate degrees from Columbia University College of Physicians and Surgeons. He completed his clinical residency in Internal Medicine and fellowships in Cardiology and Cardiac Electrophysiology at Columbia NewYork-Presbyterian Hospital.